Clinical conditions such as arterial occlusion, peripheral vascular conditions, and micro and macro diabetes complications are diagnosed by making use of blood flow measurement devices and this will drive the growth of the market for the same. Blood flow measurement devices from clinical applications such as intracranial monitoring, tumour monitoring, gastroenterology, peripheral vascular diseases, diabetes, and dermatology. However it is the segment of vascular diseases which is making use of blood flow measurement devices to the highest. This is because the segment is benefiting from people who are suffering from obesity and cardiovascular disorders. As a staggering number of people are suffering from obesity and cardiovascular disorders, the demand for blood flow measurement devices increase. Another Factor helping the market to grow for blood flow measurement devices is the increasing preference for minimally invasive procedures. The rise in the demand for minimally invasive procedures. Advanced Technologies are also paving way for the growth of the blood flow measurement devices market. Key players are taking tremendous efforts in staying up-to-date with the latest technology available and developing innovative and efficient products field. The report comprises key information on the factors driving the market as well as those factors that are anticipated to restrain or limit the market’s growth in any way. Trends and opportunities of the future in the market are analysed and studied. The report makes use of past and present insights and market statistics to predict the future market size and growth. Key segments and sub-segments of the global blood flow measurement devices market are studied in the report. The rising prevalence of cerebrovascular disease and growing population of geriatrics who are more prone to heart diseases, the demand in the market for blood flow measurement devices is swiftly incrementing. Devices such as ultrasound including Doppler and transit-time flow meters (TTFM) and laser Doppler are highly useful in measuring the blood flowing through cross section of blood vessel in a certain duration of time. Given the severe consequences of not being aware of blood pressure, medical practitioners are frequently suggesting the use of blood flow measurement devices and consumers are readily opting for it. As a result, the demand in the global blood flow measurement devices market is expected to increase at a steady rate during the forecast period of 2017 to 2025. As per a 2012 report by the Centers for Disease Control and Prevention (CDC), nearly 8,000,000 people in the U.S. were suffering from peripheral arterial disease (PAD), in which 12-20% of the population were older than 60 years of age. Apart from the prevalence of heart diseases and increasing number of people of over 60 years of age, the demand in the global blood flow measurement devices is also gaining traction from the escalating demand for advanced non-invasive devices, primarily across the developed regions. 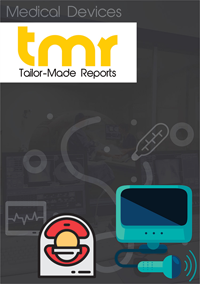 In addition to that, growing application of these devices for clinical purposes, for invasive and non-invasive procedures, ease of use, and technological advancements as a result of consistent focus from key players are some of the other factors driving the global blood flow measurement devices market. On the other hand, stringent regulations such as the Patient Protection and Affordable Healthcare Act in the U.S. and high cost of these devices is hindering the market for blood flow measurement devices to attain its full potential in the near future. Research and development of technologically advanced products including wearables, such as KYOCERA’s optical blood-flow sensor, are opening new opportunities for the players in this market. Currently, the healthcare industry is flourishing and consumers are willing to pay extra for regular health check-ups and new products. The emergence of the Internet of Things (IoT) is also expected to have a positive vibe on the global blood flow measurement devices market, wherein customers can check their well-being on their smartphones, analyzing the data provided by the advanced blood flow measurement devices. Currently, the developed regions of North America and Europe are the most lucrative region for the players in this market. Countries such as the U.S., the U.K., Canada, and France have robust healthcare infrastructure and high levels of awareness among the consumers related to the availability of blood flow measurement devices. On the other hand, several emerging economies in Asia Pacific, such as India, Japan, South Korea, and Malaysia are actively improving their healthcare facilities. Players in the global blood flow measurement market see Asia Pacific as a potential future market and are actively pursuing steps to make a mark early, ahead of the competition. Some of the leading companies currently operating in the global blood flow measurement devices market are Cook Medical Inc., ADInstruments, ArjoHuntleigh, Inc., Ace Medicals, Compumedics Ltd., AKW Medicals Inc., Atys Medical, Carolina Medical Inc., Biomedix Inc, Deltex Medical, BIOPAC Systems, Inc., Perimed AB, SONOTEC Ultraschallsensorik Halle GmbH, Medistim ASA, D E Hokanson Inc., Perimed AB, Moor Instruments Ltd., and Transonic Systems, Inc. Via product innovation and strategic mergers and acquisitions, these leading players aspire to stay ahead of their competitors.